Computational processes are common in small businesses nowadays. To manage the quality and cost of your online presence, you need specialists from Macshell Informatics. 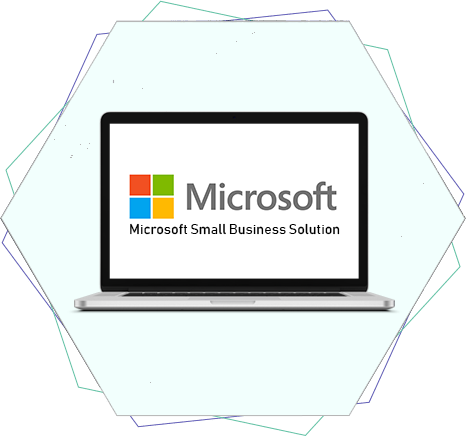 We help you build and maintain a reliable virtual infrastructure within our Microsoft Small Business Solutions in India. Our certified and experienced professionals save time and enhance the productivity of your business. At Macshell, user-friendliness stays on the top of our list when developing. We prepare compatible websites that impress your customers and all devices and browsers at the same time. Our successful history with hundreds of products says it all about our expertise. We are a certified Microsoft service provider with a leading position among the customers. Experienced professionals use their industry knowledge to offer unimaginable business benefits. We ensure user-friendliness and compatibility of developed websites. Our developed web solutions provide a seamless presence on all kinds of browsers and devices for your business. Hence, you can win leads and sales without missing out on any group of consumers. And that is exactly what turns a small business into a giant empire. Compatibility is the most important feature due to the versatility of devices and channels available nowadays. We know how to leverage compatibility during the development. Our dedicated technical support team offers real-time maintenance service. We understand the importance of having technical expertise by your side. Small businesses desire professionals who can keep the software and programs running consistently. We offer you exactly that with our real-time maintenance. Our experts follow the global standards of coding to ensure the quality. We are a certified team, which shows our expertise in quality coding. Our approach makes future expansions easy for your business. You can adapt the codes as per the growth of your business. We provide convenient integration of our products with your existing APIs. Our experts analyse the existing APIs and create a structural plan for the integration. Hence, no errors can occur during or after the integration of products. Our experts collaborate with your team to bring precision to the solutions. Adaptive development involves analysis of current business approach and the existing software products. With that, our experts recommend and follow a development path that matches your business model and future goals. If required, our team prepares flexible engagement models. The success of your business lies in the ability to address the issues of customers and clients without wasting their time. Engagement models have to be compatible and include reliable features to help you and your customers at the same time. We can make it happen for you!